Update: May 2017 - The Blue Ribbon Schools of Excellent tool has won a Global ACE Award from the Business Marketing Association, winning runner-up in the category of Digital Sales Enablement! This category is for digital online materials that help facilitate the sales process for companies. Blue Ribbon Schools of Excellence (BRSE) is an organization that provides a comprehensive school self-assessment, used to measure, develop, and support educational policies that improve student performance and enable comprehensive school reform. 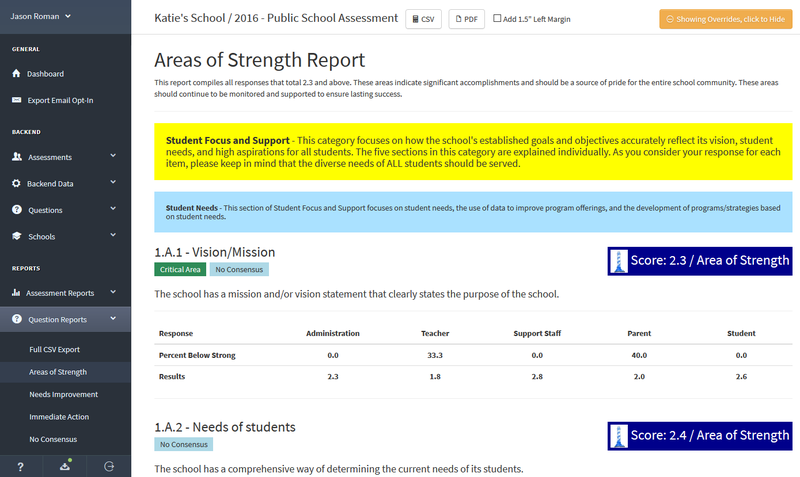 Students, teachers, parents, and faculty all participate in online surveys designed to measure their school's performance in a number of areas. In July 2015 they encountered an issue where their existing assessment tool was becoming too inadequate to function properly. The tool utilized Microsoft technology that was over a decade old and no longer supported. The software was near-unusable, slow, incomplete, buggy, and unable to provide reporting/metrics. 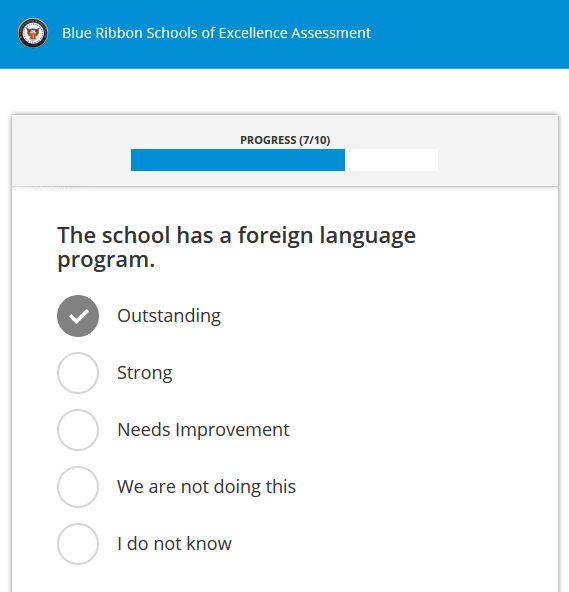 Considering most schools in the Blue Ribbon program give assessments at the beginning of the school year, BRSE needed a solution and was running out of time.